Pinedale Online > News > June 2009 > Severed Phone Cable > Now which goes where? 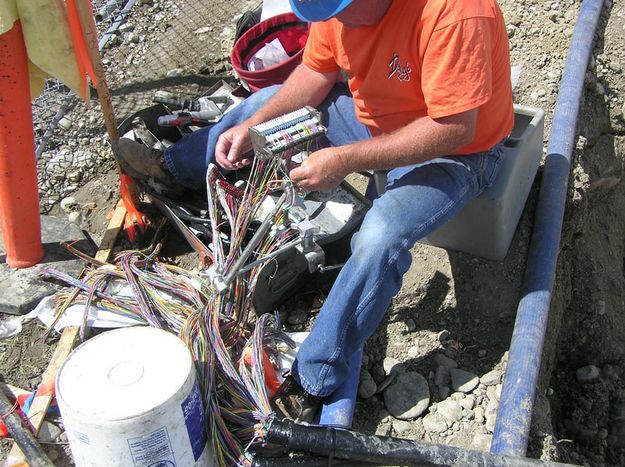 A CenturyTel repairman sorts through the tangle of cables. Photo by Bob Rule, KPIN 101.1 FM Radio.